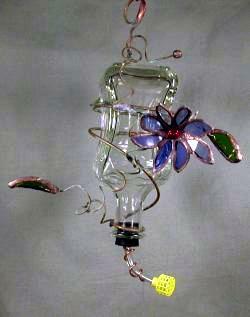 The hummingbird feeders are made from recycled decortive bottles or cruets. 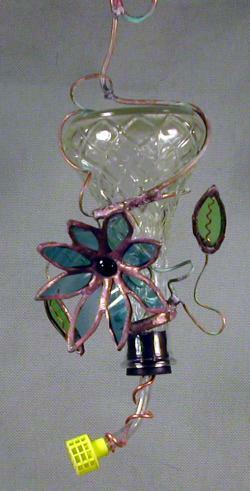 They are wrapped with copper wire and have copper wire vines. 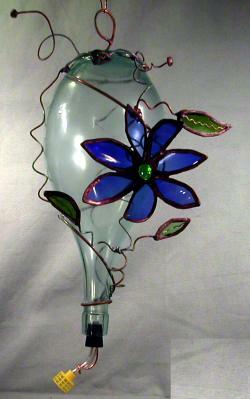 The flowers and leaves are made from broken bottles & vases that have been broken, reshaped and put back together as flowers using a copper foil stained glass technique resulting a flower or leaf that has a natural curve. 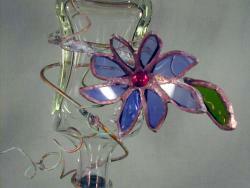 A closeup of a flower is shown in the 1st image on the left in the bottom row below. 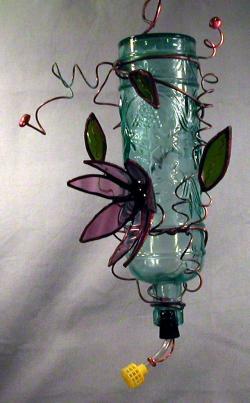 The mouth of the bottle holds a rubber stopper with a tube and bee guard. 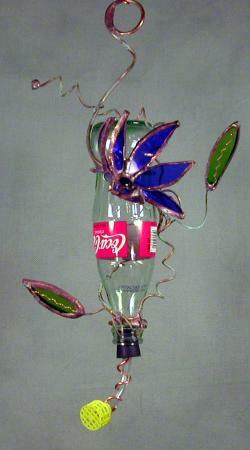 Bottles are usually clear or lightly tinted and do vary in size. 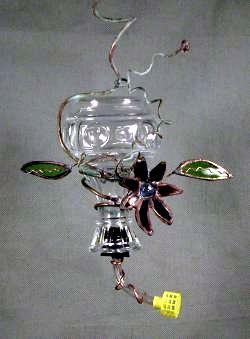 Hummingbird feeders are $38 to $41 + shipping/handling ranges from $14 to $20.